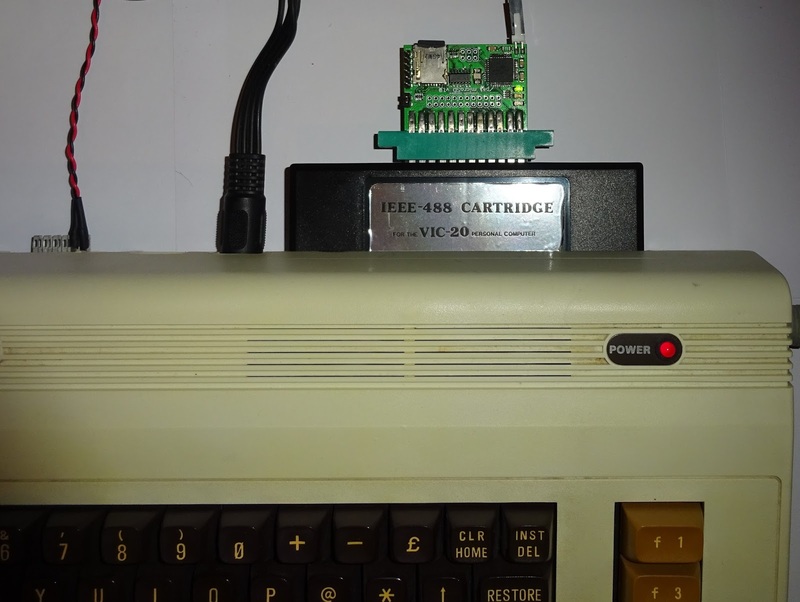 This may sound strange, but you can run a PET microSD IEEE-488 disk drive replacement on a VIC20. There is already the excellent SD2IEC SD card drive for VIC20 and Commodore 64, so why would you want to do that? One reason is speed, the IEC serial bus is quite slow in comparison to the IEEE-488 parallel bus. 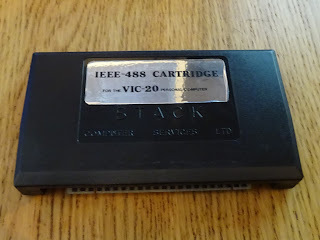 Of course, the VIC20 doesn't have an IEEE-488 port, so it won't fit directly, what you need is a VIC20 IEEE-488 cartridge, something like this, or the official Commodore VIC-1112. The PET microSD plugs into the back of the IEEE-488 cart, and gets power from the datasette port as normal. 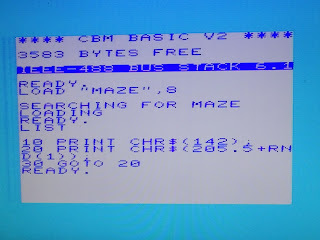 On an unexpanded VIC20, you would get something like this. Some cartridges may require a SYS call to activate, and some may only support printers, but this Stack computer services one works nicely. 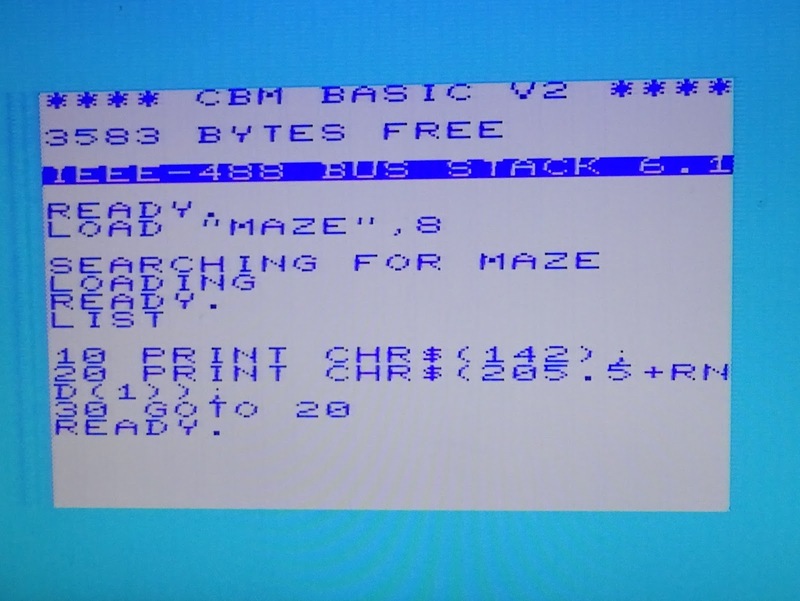 You can access files using standard BASIC 2.0 disk commands, like LOAD "$",8 etc. 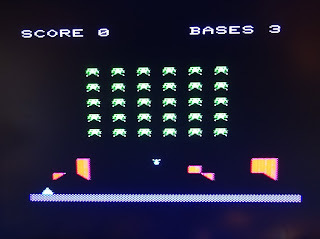 or LOAD "INVADERS",8 - what else did you expect me to test it with? 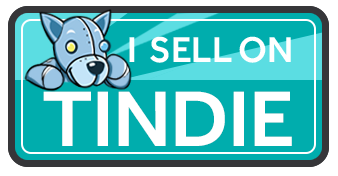 I've backed a kickstarter for a VIC-1112 replica, which should also work with this. The same should be true of a Commodore 64. 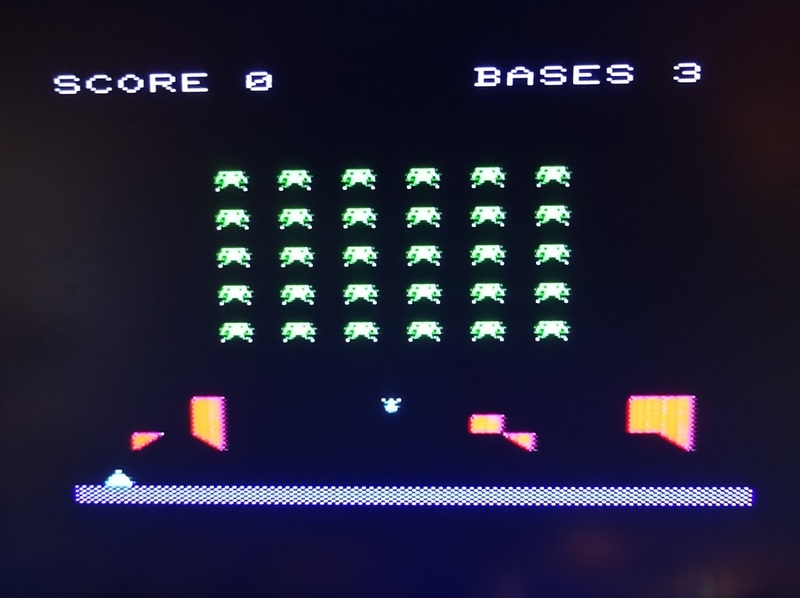 I'm on the lookout for a C64 IEEE-488 cartridge to test it, but I do already have one PET microSD user running on an SX64. 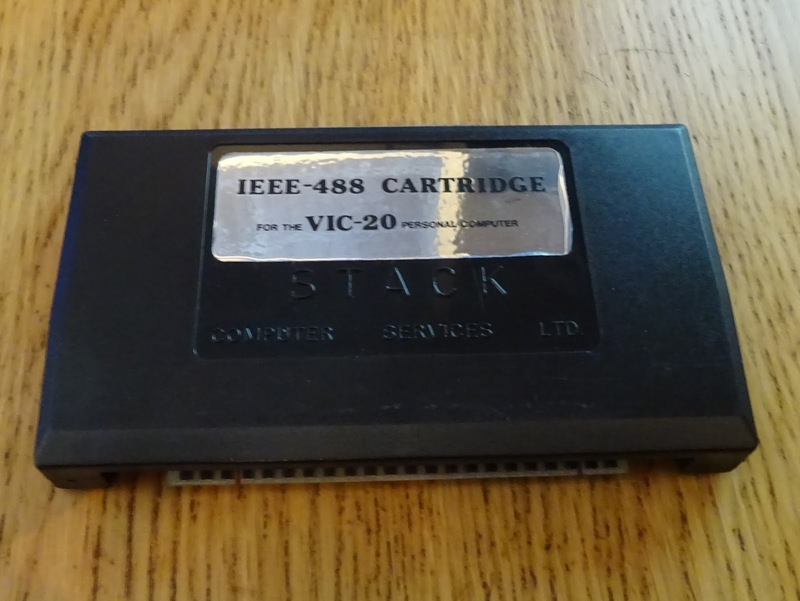 Unless you fit an internal memory upgrade to your VIC20, this takes up the cartridge slot, so you are limited to the internal 3K. 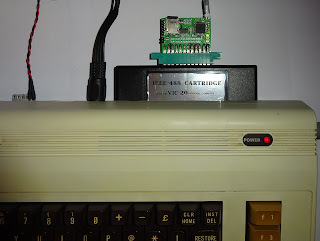 I've been looking into various options and I am considering producing a VIC20 cartridge which combines an IEEE-488 adapter, a PETmicroSD and 32K RAM all in one, the VICmicroSD? 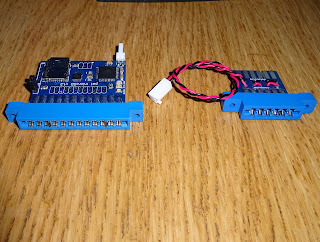 Update: That cartridge is now in development, see The Penultimate Cartridge - Part 1.